View More In Ceiling Fan Blades - Page 5. 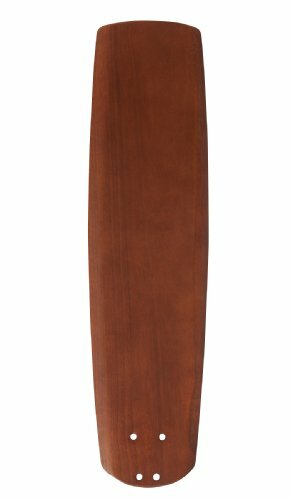 These 25-inch Walnut finish Solid Wood ceiling fan blades feature a large bevel and create a 58-inch or 60-inch blade span and offer a traditional touch for both indoor and outdoor fans in this series. A set of 5 versatile blades are included that are suitable for indoor use and feature a Damp Location rating, making them durable enough to enjoy relaxing breezes in any covered outdoor space. For those who desire a customized ceiling fan that matches their personal aesthetic, the B78WA ceiling fan blades are an excellent choice for your Blade Select Series fans.